The 13th Cape Town International Jazz Festival line-up has been bolstered by the addition of three exciting internationally acclaimed artists. Master vocalist, poet and actress Jill Scott’s (USA) exciting repertoire is expected to bring the house down as she joins the other greats on the festival’s Kippies stage. In 2000 Scott released her much anticipated debut record Who is Jill Scott? Words & Sounds, Vol.1. This double platinum selling album earned Scott several Grammy nominations, including Best New Artist. Two more critically acclaimed albums followed; Beautifully Human: Words & Sounds, Vol. 2 and The Real Thing: Words & Sounds, Vol. 3. Both garnered two more Grammy Awards and spawned multiple worldwide tours. Most recently Scott was cast as the lead character in The No.1 Ladies Detective Agency, a HBO/BBC mini-series filmed on location in Botswana and currently being broadcast in South Africa. Prior to that she starred alongside Tyler Perry and Janet Jackson in the movie series Why Did I Get Married?. This Three-time Grammy Award-winning singer-songwriter, New York Times best-selling poet and critically acclaimed actress joins the bill as one of the headline acts. Texas-born jazz vocalist and popular standard singer Steve Tyrell (USA) also joins the bill. He is known for the self-produced and critically acclaimed album A New Standard, released by Atlantic in 1999. In 1986 Linda Ronstadt and James Ingram recorded Tyrell’s Somewhere Out There which won two Grammys (including Song of the Year) and received an Oscar nomination. Three years later, Ronstadt recorded Tyrell’s Don’t Know Much featuring Aaron Neville which earned both her and Neville a Grammy win for Best Vocal Performance. Organized Confusion with partner Prince Poetry. Today the former visual artist works on his own, recently having released W.A.R. (We are Renegades). The music video for the new single off the album, Still Standing, was released on February 5 and features fellow Jazz Festival performer Jill Scott. These three acclaimed performers join an already star-studded line-up of artists, with this year’s headliners reflecting the festival's philosophy of broadening audience's perspectives of what is understood as 'jazz'. As previously announced, the rest of the line-up for 2012 is completed by the following artists: James Ingram (USA), Dave Koz with special guest Patti Austin (USA), Mike Stern with special guest Dave Weckl (USA), Virtual Jazz Reality (SA), Brubecks play Brubeck (USA/SA), Ron Carter, Donald Harrison and Lenny White (USA), Andre Petersen Quintet (SA), Atmosphere (USA), Jean Grae (USA), Goodluck (SA), Zamajobe (SA), Zahara (SA), The Jason Reolon Trio (SA), David Sanchez with special guest Lionel Loueke (Puerto Rico/Benin), The Moreira Project (Mozambique) and Alexander Sinton High School Jazz Band (SA). Zakes Bantwini (SA); Unathi (SA); Lindiwe Suttle (SA); Sophia Foster, (SA); Hassan'adas (SA); Victor Kula (SA); Adam Glasser (SA); Herbie Tsoaeli (SA); Steve Dyer (SA)’ Ill Literate Skill (SA); Hip Hop Pantsula (SA); Dorothy Masuka (SA); Hugh Masekela with Special Guest ‘’ Tribute to Mama Afrika’’’ Gabriel Tchiema (Angola); Allen Stone (USA); Nouvelle Vague (France); Xia Jia (China); Alfredo Rodriguez (Cuba); Kevin Mahogany (USA); The Patti Austin Trio's (USA); Marcus Miller (USA) and Third World (USA). 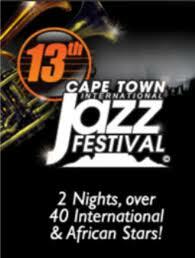 This year’s Cape Town International Jazz Festival will take place on Friday 30 and Saturday 31 March. 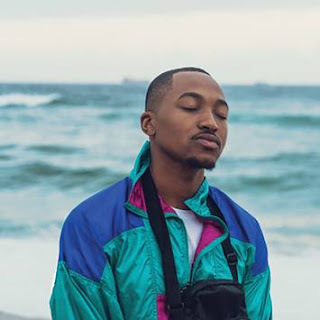 In its 13th year, the festival continues to titillate South African audiences with the finest in local and international performers at the Cape Town International Convention Centre (CTICC). Celebrating not only musical creativity, but visual creativity too, The Duotone Photographic Exhibition is an annual fixture of the festival. Every year it commemorates prolific jazz photography to educate people about the power of art & photography, how one image can be timeless and to expose other forms of art, culture and heritage as it is all one form of expression and enjoyment. This year it showcases the works of Nuno Martins (Angola); Sipho Maluka (SA) and Shelley Christians (SA). One of the most exciting elements to the festival is the annual free Community Concert which brings thousands together in the centre of Cape Town on Green Market Square. This year the concert will take place on March 28th, the Wednesday preceding the festival. The line-up is usually a teaser of some of the local and international acts that will feature at the festival. The gold sponsors for the Cape Town International Jazz Festival 2012 is the Department of Arts and Culture and the SABC. Other sponsors include Provincial Government of the Western Cape, The City of Cape Town, Oude Meester, Hansa Pilsner, Department of Cultural Affairs and Sport, Cape Town Partnership and the Western Cape Education Department. Tickets for the festival are R400 for a single day pass and R550 for a two-day weekend pass. As in previous years, there is an additional fee of R30 per act for performances at the Rosies stage. Tickets are available at Computicket and Shoprite-Checkers stores.